Pretty good I must say! They have a good sound, even if their music is a little generic. Nettes dünnes Album. Highlight ist ganz klar "If You Ever Come Back"
Nach dem grossartigen Debut konnten die Jungs leider nicht mehr einen drauf legen. Das Album ist nicht schlecht. Aber es hat kein Ohrwurm drauf und kein Hit. Leider ein Album das alles gleich tönt. Hoffe, dass das dritte Album wieder besser wird. Quite a solid album. I think it gets better further down the tracklisting. Nicht schlecht kommt aber nicht an den Vorgänger heran. Overall, it's a nice listen. I love The Script's sound but listening to it all day can end up a bit boring which was what happened when I listened to the album in full. All of them are nice tracks but there's still some improvement that could be done on the overall sound and vocals. The lyrics are at times creative but are quite generic and ordinary. The standouts are the singles that have been released so far. Bullets From A Gun must have been a bonus track or an extra track on the US version as it does not appear on the UK album. Excellent album, the vocals are perfect and there are some very nice songs on here. It's not quite as brilliant as their debut, but it comes close. My standout tracks are Nothing, For The First Time and Long Gone And Moved On but there are no duds. 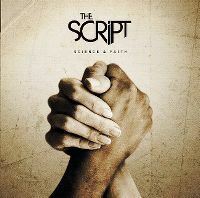 Niks tegen The Script, leuk popalbum. A very solid follow up to the great self titled debut. Find this release to be slightly better with a little more variety but more stability lyrically with a more mature content.